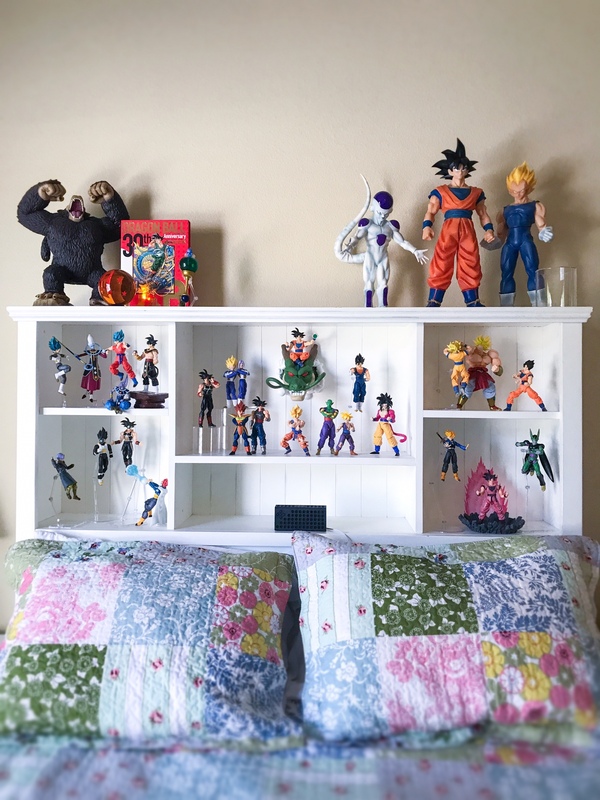 Well, since I finally have moved into my new house, I thought I'd start this thread off, as I'll slowly be getting all of my items from my collection out an on display. For now, this big boy came in and man.. is he a showstopper. He's over 6 feet tall with his spikey hair. Very lightweight, as he's made of resin, but also incredibly sturdy. 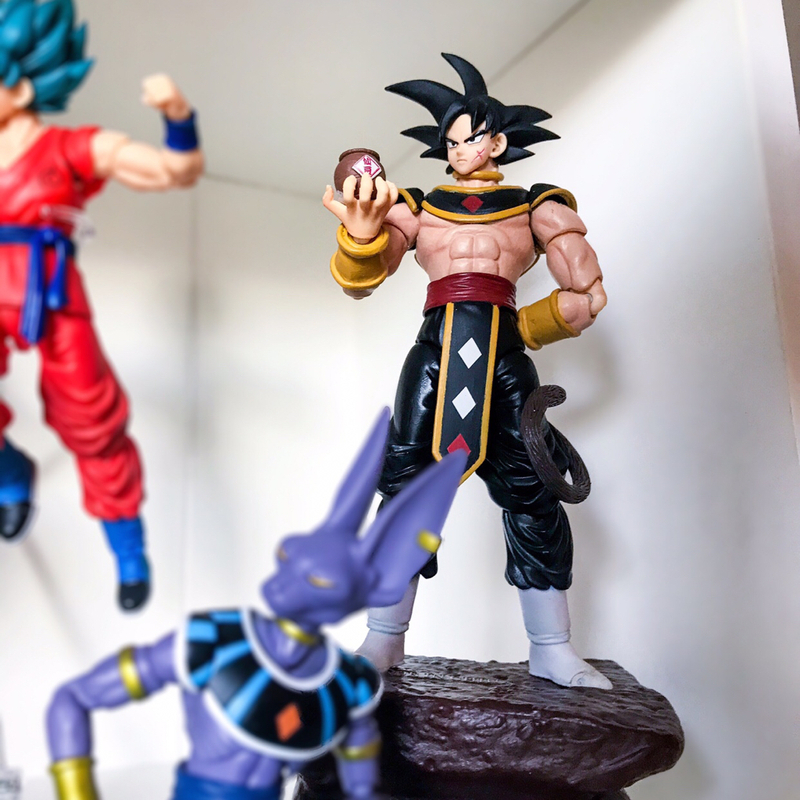 I also commissioned a 1/1 Bardock from the same artist which is now underway. They say they think it can be done by Christmas! Damn that's awesome! I'm jealous, I can only imagine having a 17 or 18 that size!! Thanks!!! I think he's awesome! 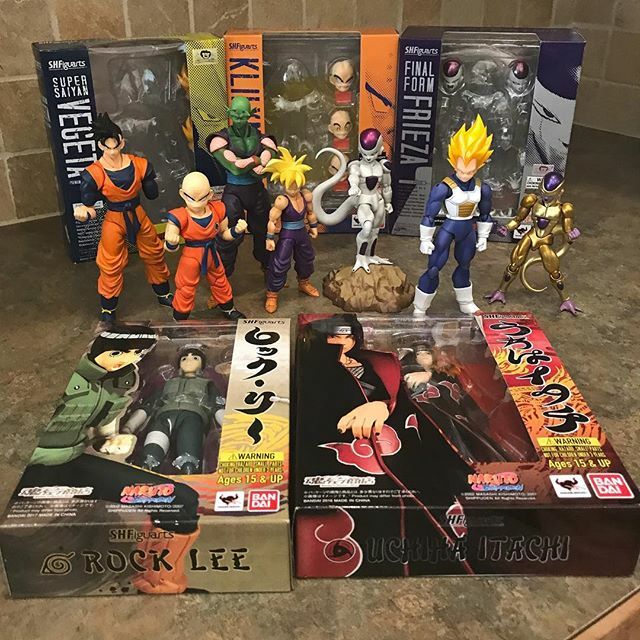 I posted all the unboxing videos on the FB Group - DBZ Collectors United. So far, the response has been like mine, just WOW. He's so much better in person even. 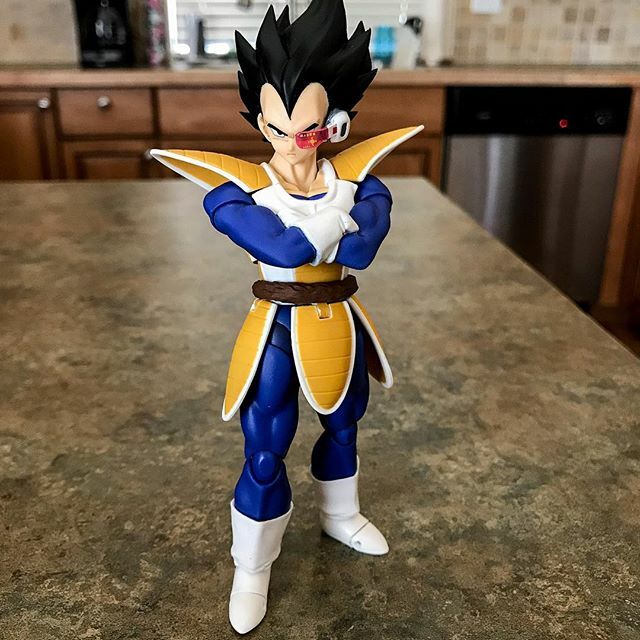 Only had one person so far say "He doesn't look like much." Lol. 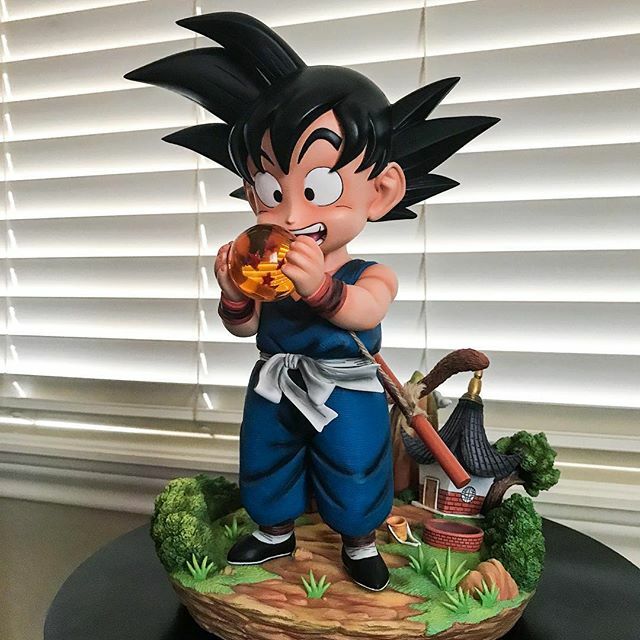 If I could have a Goku, Vegeta, Trunks, and Bardock... and Kid Goku, I'd be happy. 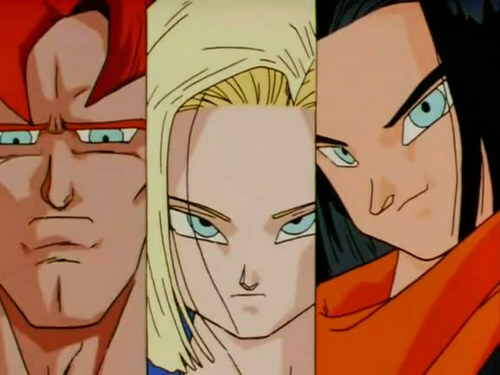 yummypixels yeah the Saiyans would be great! 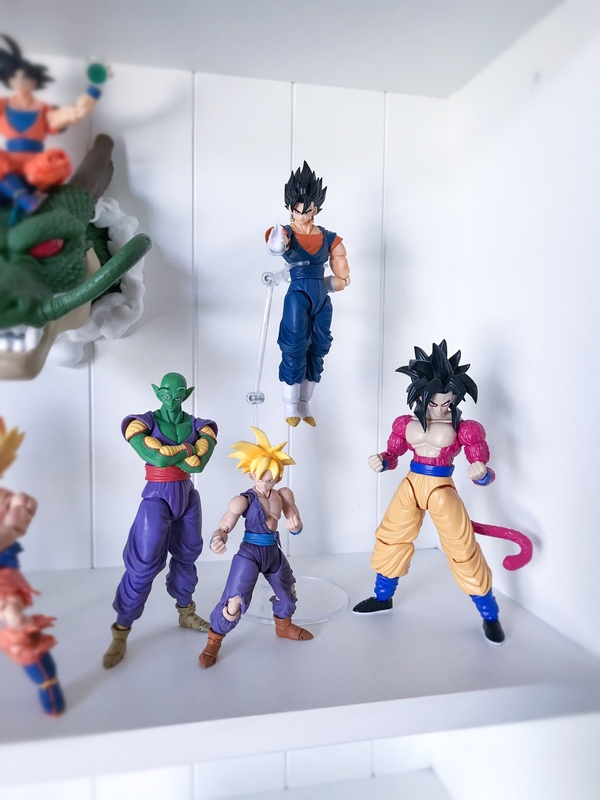 And Piccolo... haha, but yeah, Kid Goku would be sweet, too. 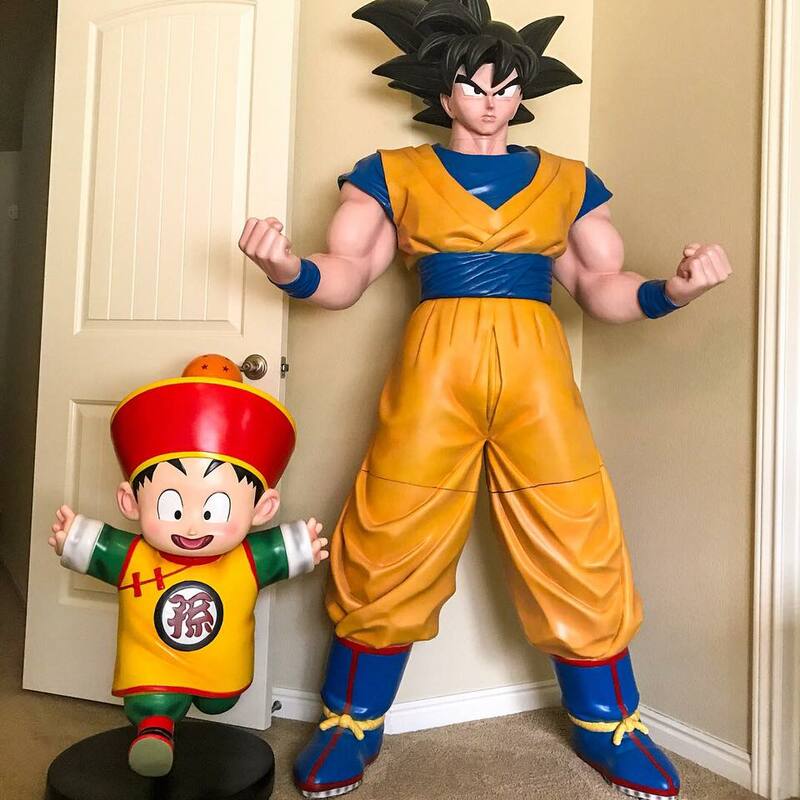 If he wouldn't go in the same room as this Goku, I'd say go for it! I'm gonna go check out the unboxing! How much exactly did you end up paying for it? I know you didn't say on Facebook, but not sure why. I assume around $2000? 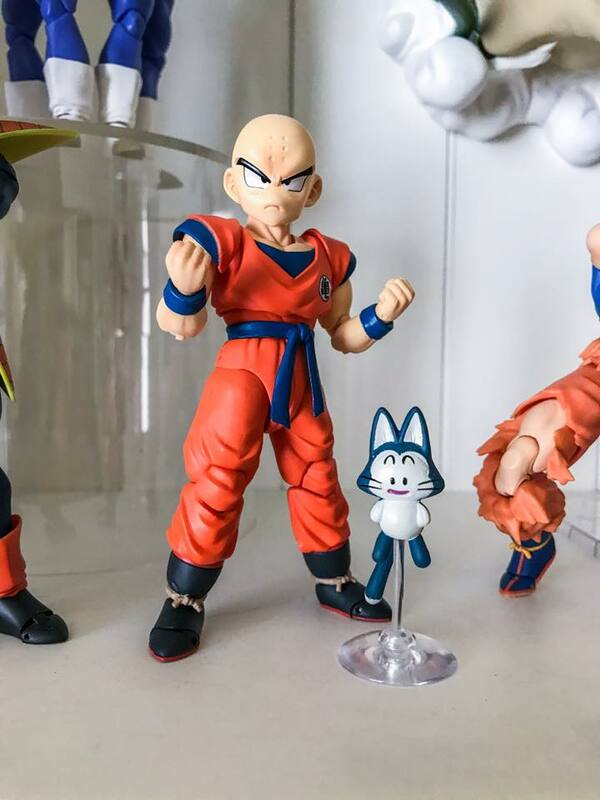 If I was to have a lifesize DBZ character, I think I'd probably choose Puar. Yeah, I didn't want to say on there because I feel it's doing a disservice to the artist. They have a best offer price of $5000 for him, and if I announce my offer that they accepted publicly, then they could lose out on potential offers much higher than mine. As an artist myself, I understand how hard it is to get people to appreciate and pay for your work, so I wanted to try to keep my accepted best offer private. BUT... even though this is "public," it's as public as the Facebook group, sooooo.. 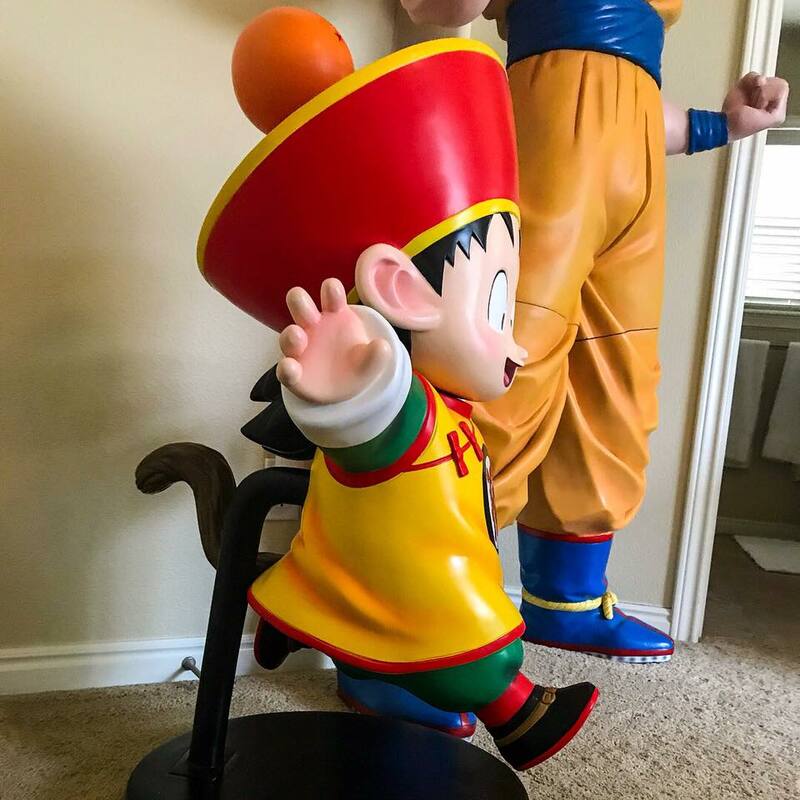 I offered $1500 plus shipping for this Goku, and he accepted my offer. In total, I paid $2100 for him. I think it's a great deal compared to the prices of most resins these days. That was a wonderful deal then!! 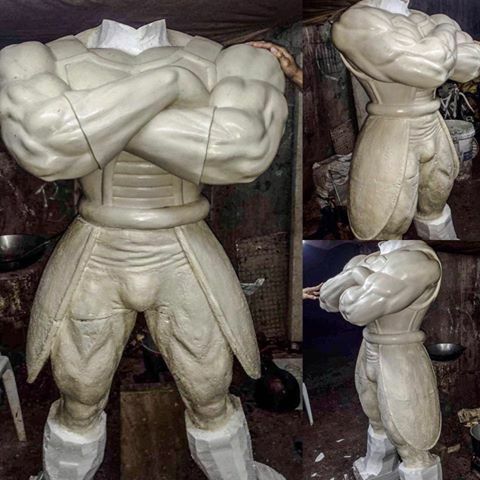 Will your Bardock be the same price, or is he charging more since it is a commission? Bardock is much more because it's a commission. I'm saving a bit because he can reuse potentially the hair, and maybe the face to a point. 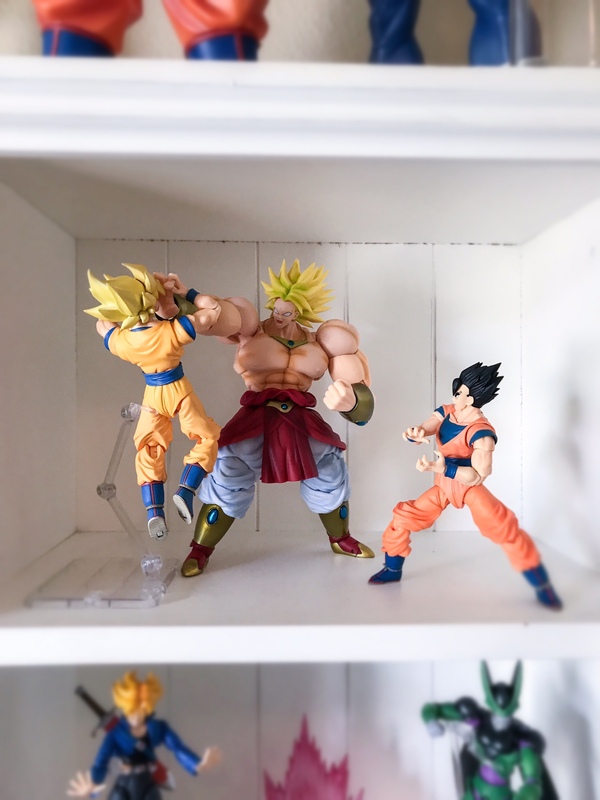 But yeah, Bardock is twice the price.. 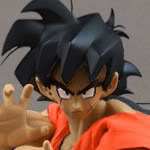 BUT, I'm SO excited and I know it will be worth it because this Goku is just amazing. I wish I could do him justice with my photos / videos. 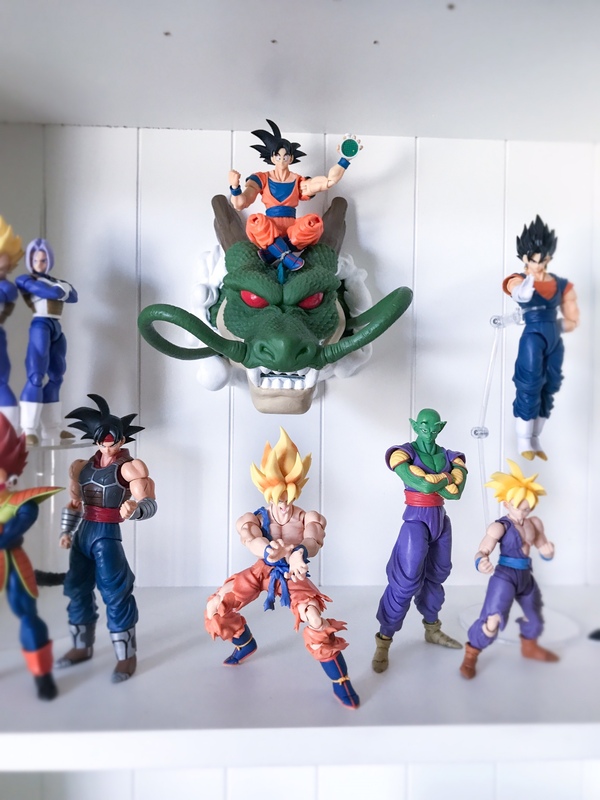 Got all my DB SHF out of their boxes.. saving space for all the new ones coming out.. but the display is coming along nicely. I've been out of the loop for a while didn't know you joined fourm! What's the story behind the customs? 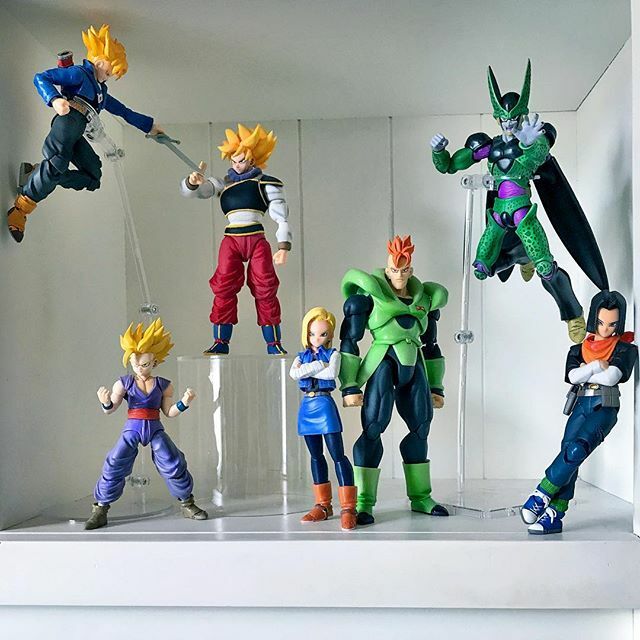 great collection, I love seeing every ones customs. Not much of a story other than... once you get one custom, you can't stop!! 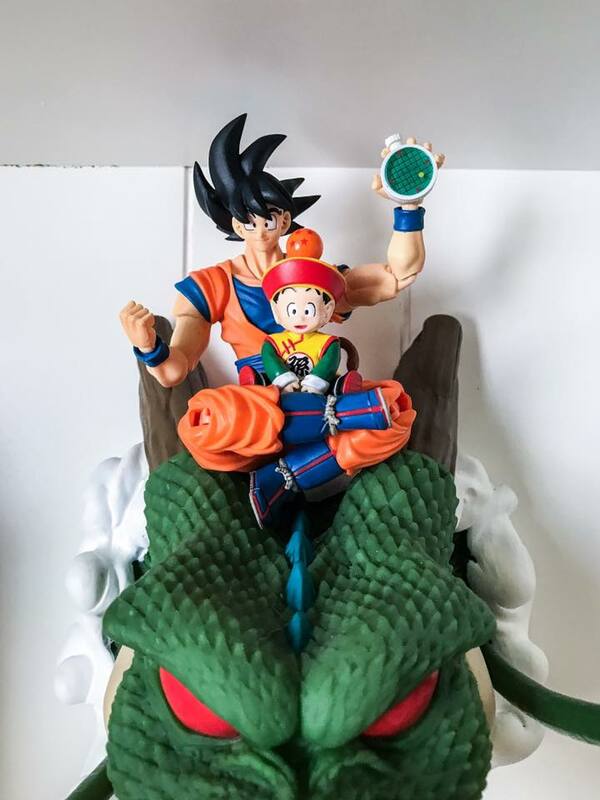 My favorite customizer is Ferrytale Customs. I wish I could just put him on a retainer. 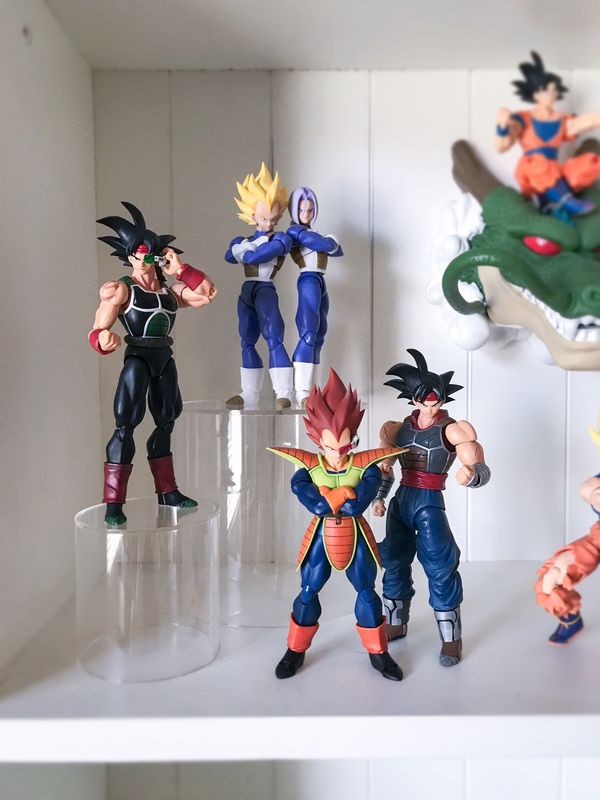 He made the main custom Bardock for me (my version of Bardock), the Time Breaker Bardock, and that Saiyajin OC character with the battle damaged armor and blue pants (which I turned into a Bardock with a spare head he made for me). 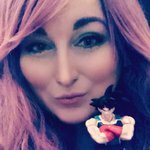 The Time Breaker Vegeta and the God of Destruction Goku were both made by a friend of mine on Instagram. I didn't commission them, he just was selling them so I snatched them up. I'm sure you've seen these floating around, but here are recent additions to my collection. 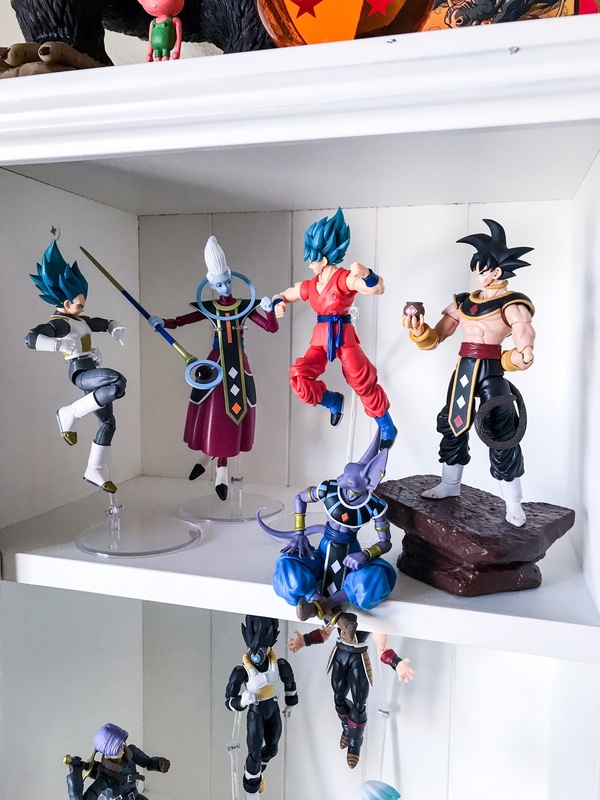 Slowly but surely finishing up the shelf displays.. eventually I'm going to do a house tour. Good lord... wow! 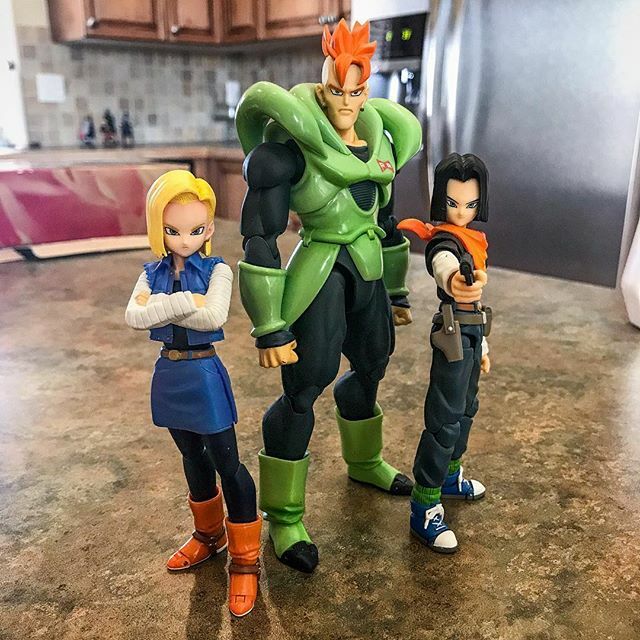 I really like the way your Android 17 is displayed! 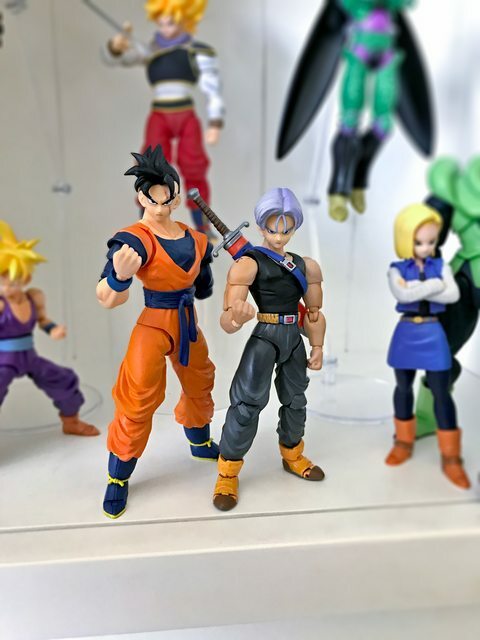 And that Gohan statue is so nice I can hardly even think about the Goku or Bardock! Thanks!! 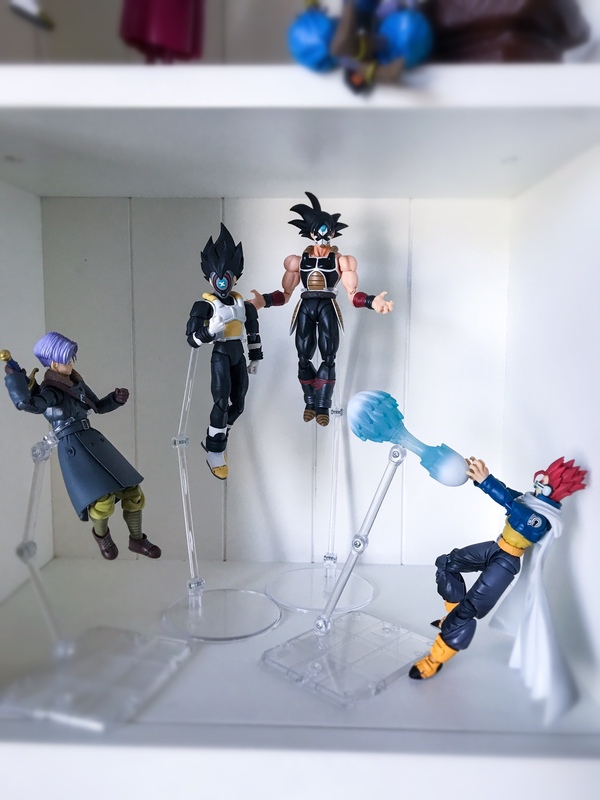 I thought that pose suited 17's general attitude. 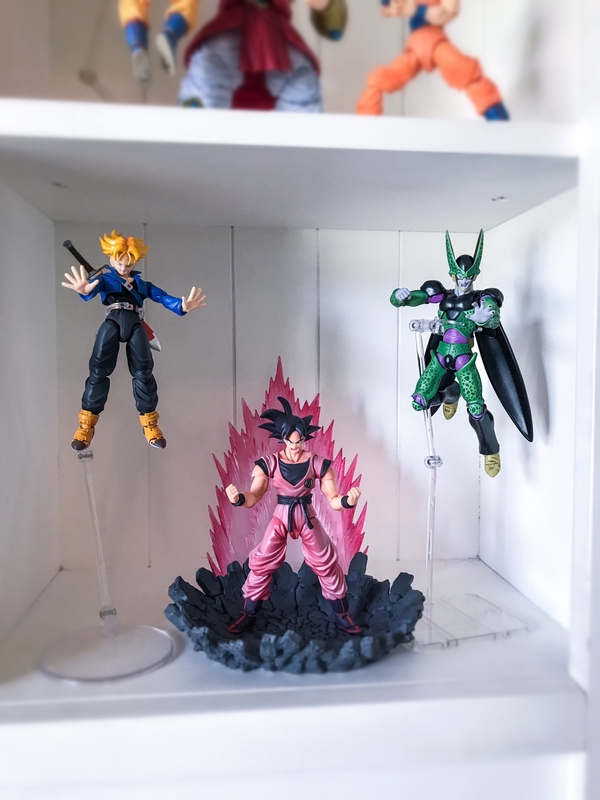 And that shelf is now filled to the max, just added these two customs to it. Also.. isn't Gohan adorable?!?! The makers of him told me they ended up only making 5 of him, so I have 4/5, which is kind of cool. Sweet! 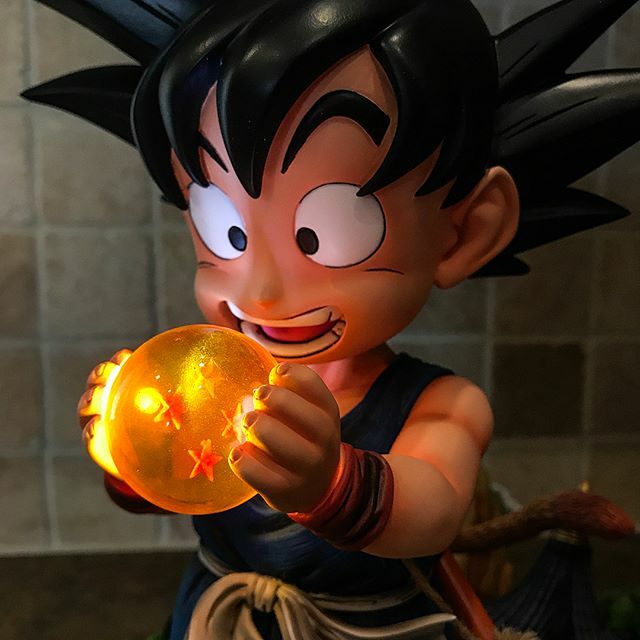 I'd really like to see Mirai Gohan as an official release, even tough I think it's not gonna happen. 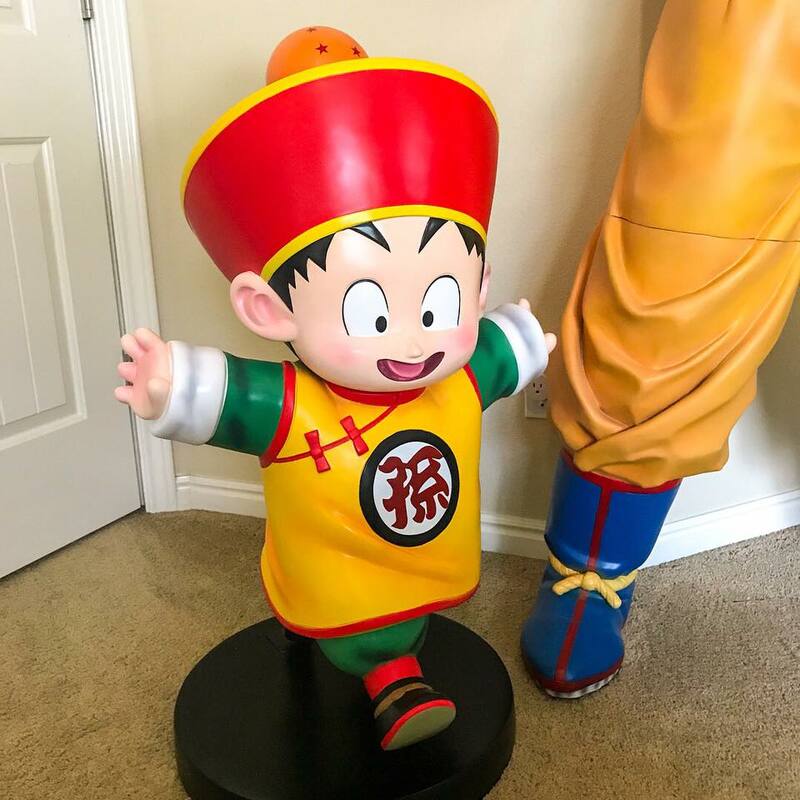 How much did the Toddler Gohan cost if you don't mind me asking?